Pyeongchang, South Korea • Abby Ringquist lie in bed here Thursday morning and, hoping not to wake her sleeping roommate, quietly wept. 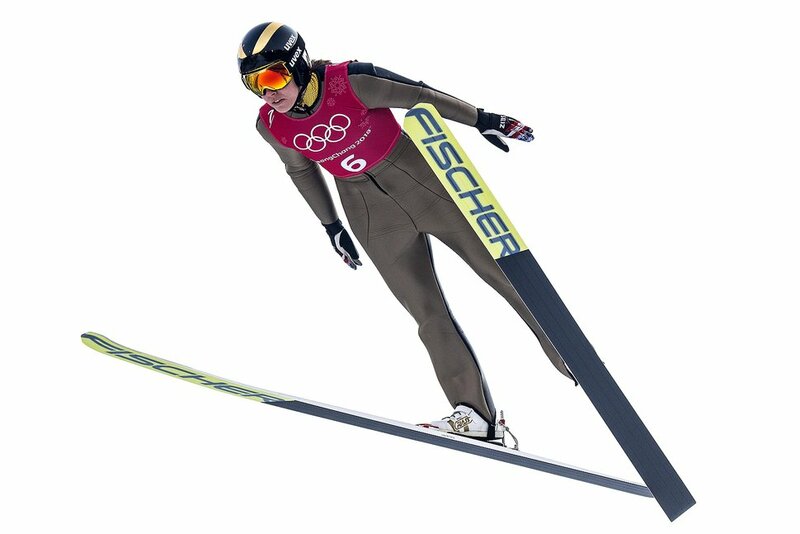 In 36 hours, the Park City ski jumper would march through Olympic Stadium, wearing the red, white and blue of Team USA. She looked at her phone and read one congratulatory text message after another. She thought about her family, who had supported her more than 20 years of dreaming and now would share in her crowning moment. And as she did this, Ringquist made up her mind. Her first jumps as an Olympian would be the last of her career. 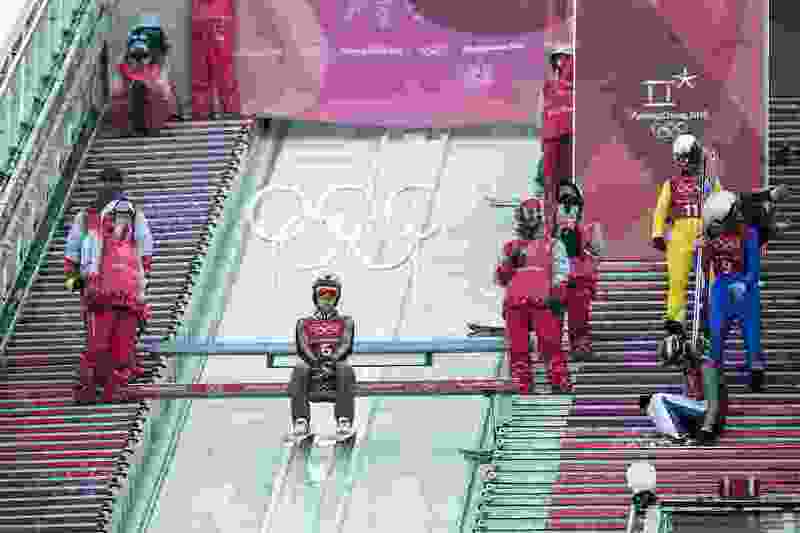 Along with teammates Sarah Hendrickson, Lindsey Van, Jessica Jerome and Alissa Johnson, Ringquist helped lead the charge — and the discrimination lawsuit — to make women’s ski jumping an Olympic sport. But Ringquist did not get to enjoy a victory lap in Sochi, Russia. A knee injury kept her sidelined for the historic moment four years ago. 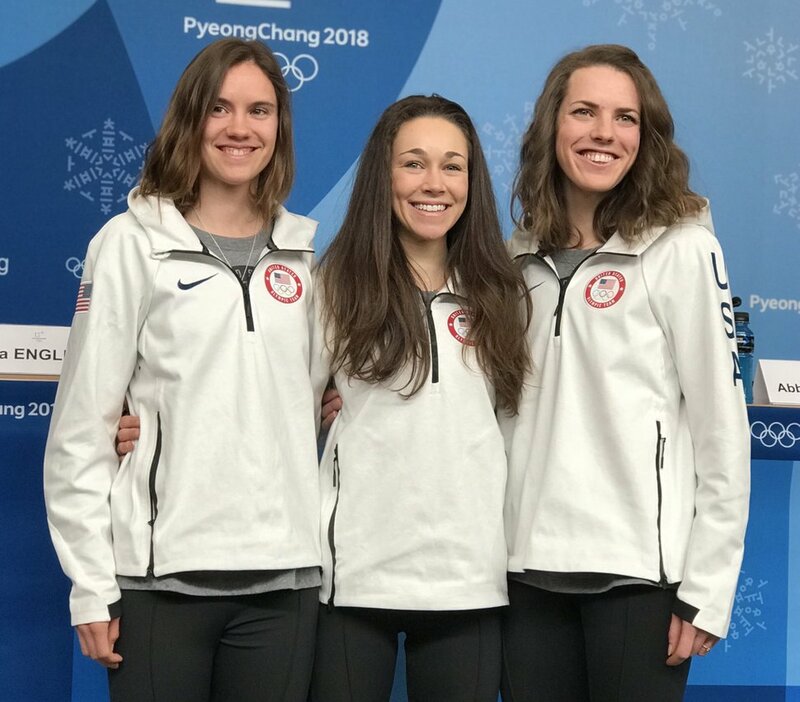 Aaron Falk | Salt Lake Tribune American women’s ski jumpers Nita Englund, from left, Sarah Hendrickson and Abby Ringquist post for a photo at a news conference Friday at the Main Press Center in Pyeongchang, South Korea. And it took a heck of a lot of work. That is, in large part, why Ringquist is retiring this week. She works three part-time jobs in and around Park City. She coaches young ski jumpers, works for Habitat for Humanity and serves breakfast at the Woodland Biscuit Company outside Kamas on Sunday mornings. The money she makes has gone into a fund to support her Olympic quest. And now, at 28 years old, with a husband, a mortgage, two goats, three dogs and nine chickens, she said she no longer wants to maintain the status quo for another four years. If the money were there, Ringquist said, perhaps things would be different. But it isn’t. Not for a ski jumper. Her husband works as a groomer at Deer Valley in the winter and as a handyman in the summer. Ringquist doesn’t want money to be tight anymore. Ringquist has been studying at Westminster College and said she wants to do something with children. Maybe she will coach, she said, or maybe she will teach. She wants to start a family. Her own family is all here in Pyeongchang now. They will be cheering her on at the bottom of the ski hill this week. That’s another reason Ringquist said she is retiring now rather than later this spring. A line of mascara ran down her cheek, though Ringquist said she was happy and at peace with her decision.